I then thought that this must be another example of my Cumbrian family’s belt-and-braces approach to life. Everything was insured, under warranty, serviced and any other form of guarantee that could be acquired. And my great-grandmother had lost the second of her three babies, so maybe it wasn’t so strange that they would pull out the stops to ensure my gran had a better experience with her baby.What I didn’t realise was that Workington was well ahead of the game in the provision of free healthcare for the working population. There had been a Dispensary for the treatment of the sick and infirm poor as early as 1828. In 1899, seventy people were treated under this system. 54 were ‘cured’, ten were ‘relieved’ and six were having ongoing treatment. Goodness knows what their ailments were, but that looks like a good success rate, doesn’t it? Those needing in-patient treatment at a hospital were less fortunate and were transported by train or a horse-drawn ‘ambulance’ to the hospitals at Whitehaven (eight miles) and Carlisle (33 miles). Derek Woodruff1 records the case of one unfortunate in the 1880s who was badly burned at the ironworks and taken in a horse-drawn bread van to hospital in Whitehaven. He didn’t survive. In 1884, the townspeople held a meeting at which they agreed to found their own free hospital. They raised the entire building cost – £2,736, Is 6d – amongst themselves. Workington Infirmary was formally opened on November 29th, 1886, with a matron, two nurses and twelve beds. The cleaning and washing was arranged by volunteers, and the town’s doctor’s gave their services for free. In 1899, the infirmary treated 160 people. 144 were ‘cured’, twelve ‘relieved’, twelve had ongoing treatment, and 22 had died. The reason that all this could be afforded ongoing was that workers paid a shilling a week, deducted directly from their wages. Initially, most of the subscribers were people from the ironworks – so I’d like to think some good came from the story of the burned man – but other companies were increasingly pressed to contribute. A healthy financial state allowed another four-bed ward in 1888 and a further full maternity unit with twelve beds in 1932. There were other ways to contribute, and contribute people did. Records show gifts of books, cakes, sweets and toys, eggs and flowers. For the 50th anniversary of the hospital’s founding in 1936, there was a week-long fund-raising festival with street parties and a dance. The local Chamber of Trade raised the astonishing sum of £20,000 to extend the x-ray and maternity wards. Perhaps it’s no surprise, then, that my great-grandparents and grandparents decided that mum would be born there, with every modern advantage, available free of charge. The extraordinary support of the Workington people ensured that their infirmary was one of very few to be in good financial condition when it was taken over by the new National Health Service in 1948. What a testimony to the good sense and charitable nature of the Workington people. Workington Infirmary closed in 2006, and now in-patients are taken to Whitehaven and Carlisle for treatment, as they were 130 years ago. It’s a good job we’ve got an air ambulance2, isn’t it? Much of the information about the hospital came from Derek Woodruff’s Curious Tales of Workington, Amberley, 2009. Praise be to the Great North Air Ambulance, which is based four miles down the road from me. 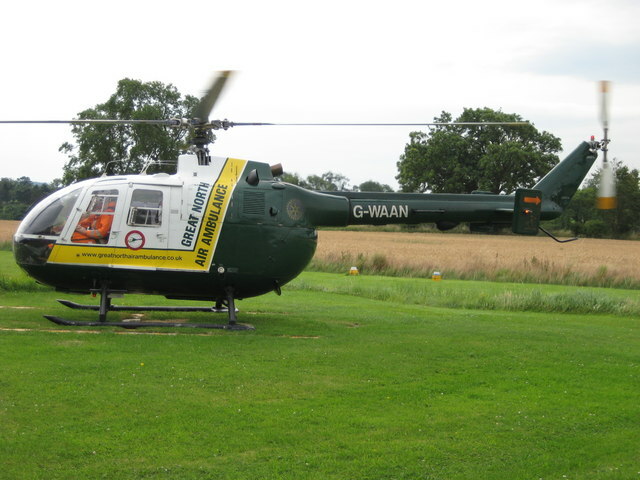 We are also served by the North West Air Ambulance. Give them your money. 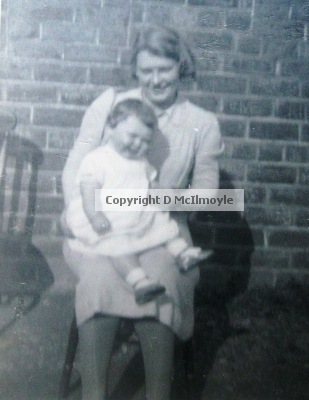 Mum died in August, 2012 and my gran in April, 2013. Both missed. This entry was posted in History of Cumbria, History: 19th century, History: 20th century and tagged Workington, workington dispensary, workington infirmary. Bookmark the permalink. Fascinating post, raising a few questions in my mind, such as what proportion did a shilling a week represent of working people’s wages, and are we going backwards (air ambulances notwithstanding) in terms of healthcare provision compared with the recent past. The same thought had crossed my mind, Ed – I could do with finding out what a typical wage was at the ironworks in those days. We assume it was a small contribution, but maybe it wasn’t – although I’ve no references at all to people objecting to it. My gran certainly finds it odd that Workington no longer has its own hospital, as it seems obvious to her that having one on your doorstep is a good thing. I suppose the NHS would say that they can offer snazzier facilities at the bigger hospitals, and transport is better. Who knows. I found this really interesting Diane, as I have been researching early public health services in Tasmania. Due to our colonial past the British Medical Association remained a powerful body right up until the 1930’s. This led to fascinating and long lasting dispute involving the Hobart Public Hospital. Local fundraising for hospitals in Tasmanian rural communities was also very significant. Hello Pauline – I do wonder if your Tasmanian facilities were better than many of our ‘backwater’ areas in the late 19th/early 20th centuries, as some of our stories are harrowing – which is why it’s so remarkable that Workington was determined to do better. I suppose we all take this stuff for granted. Shame, in a way.